Classic Cola flavor! Now you can make your own Cola soda drink at home with ease. Each 2oz. Bottle of HomeBrew Cola soda extract makes 4 gallons of soda. Made in Americas heartland. 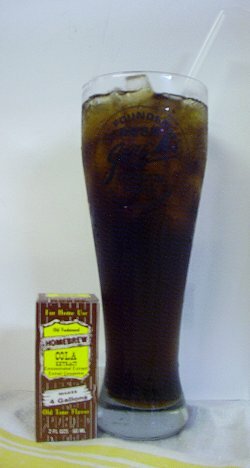 Just mix Cola Soda extract with plain soda water or a lemon-lime flavored Soda to taste. Natural and Imitation Flavors, Caramel Color F, D, & C, Alginate ( a derivative of Seaweed) Water, Citric and Ascorbic Acid, (Vitamin C), Natural Quillaia Preserved with Sorbic and Sodium Benzoate.